You have reached the Offices of The Funny Accountant. 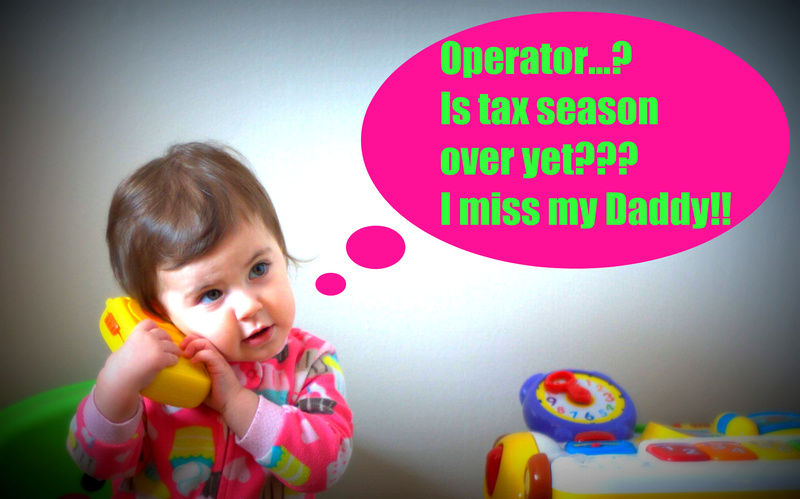 Due to the fact that it is April 30th, the last day of tax season and the first day of the rest of our lives, we can’t come to the blog right now. Please leave a message at the sound of the tone and we will get back to you in….I don’t know…..a couple of weeks. P.P.S. I’ll be baaack (insert Austrian accent). Previous Post Tax Tip Tuesday – How to Spend Less on Your Taxes! Next Post Tax Tip Tuesdays – Tax and Steak…The Return of The Funny Accountant!